If you suffer the unfortunate luck of having water, fire, hail, or storm damage, Integrity Restoration & Remodeling Contractors, LLC is here to help! When you are in a situation where you need help fast, it can be difficult to find a reliable, high-quality company for 24-hour water damage repair, or any other damage cleanup in Woodstock for that matter. • We are IICRC certified. • Our technicians, estimators, and project managers are certified in their respective areas of service. • We have been providing restorative services including mold testing, water removal, soot removal, and much more for over a decade. • We are available for emergency services anytime, day or night. Whether you are looking for emergency flood cleanup, mold inspection and remediation services, or hail damage repair, think about the company that has been providing these services and more for our highly satisfied clients since 2002. Give us a call anytime, day or night, for emergency services. We are one of the best water damage restoration companies in the Woodstock area, and we have been for years. We bring service, excellence, and experience to the job when you call us. We have worked with many kinds of damage and disasters, and we have developed efficient means of cleaning up all of them. Our team is extremely thorough, and we guarantee that our water extraction will not leave any residue behind. Your family’s health, safety, and comfort are important to us. That is why our water damage cleanup is the most complete and intensive you will find anywhere. 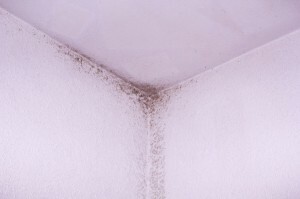 Water damage and mold go hand in hand, and if any water is left behind in your home, the moisture can develop mold. Our services are not only restorative but preventative. Finally, our service has some of the highest satisfaction ratings in Woodstock and beyond. We will not treat your water damage removal project like just another number. We treat each house as if it were our own home. Your home is where your family lives, works, plays, and grows together, and we know that you want to restore it to safety and functionality as quickly as possible. That is what we are here to do. Call us whenever you need assistance, and our emergency team will be there to help you through it.